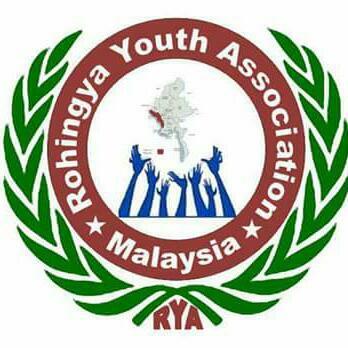 ROHINGYA YOUTH ASSOCIATION: No Rohingya in Rakhine state??? No Rohingya in Rakhine state??? (1) The point is, if there were no Rakhine in Arakan why the racist Military junta by Ne Win had to pass the 1982 law? Why lately Arakanese historic Rohingya names had to be changed into Rakhine Mogh sounding names? Why there are historic Rohingya mosques and monuments in Arakan? Why UN was involved in dealing with Rohingya facing persecution? Rohingyas are being labelled as "Bengalis" If Rohingyas are from Bangladesh why Bangladesh doesn't want to accept them? Also why are there boat people in the sea? So the question was not about Rohingya existence in Arakan but was to deny Rohingya existence in Arakan. Surely the present seminar by the known sponsors was to comply with the government's official policy of Rohingya genocide. (2) Furthermore, this is a Rakhine sponsored conference. Knowing it very well the Western speakers Jet Pilder, Stephen van Galen were keeping their agenda in line with the sponsors and tried to be more superficial to scratch on the surface of Arakan history. Unfortunately however their names were cleverly abused by the Rakhine sponsors. (4) In addition to their exaggerations, the poor performance of the speakers as historians is noticeable in their deliberate ignoring of Arab settlements from the 8th century, Muslim General Wali Khan and Sind Khan's army setting in Arakan and particularly, ignoring Francis Beauchanan's reference of " Roongya" in 1799 and also ignoring the existence of Rohingya Muslim names, such as Arakan and Akyab which were lately changed. Further, Aye Chan's denial of the term Rohingya. His denial of the name "Rohingya" which originally derived from the name Mro-haung "Mro haung gys" and terming the Rohingya is only shocking to say the least. (5) While Aye Chan said the name Rohingya was officially coined from the 50's but didn't say before which they were known as "Muslims of Arakan" In doing this he cleverly ignored the fact to the people present that the name "Rakhine was also a new term officially adapted during the 1920's before which they were identified as the "Mogh." All in all what can we expect from a seminar organized by the Rakhine racist extremists and reported by a media that promote hatred. Thus, deliberately ignoring historical facts, including a xenophobe among the speakers, the latter is likely to ignore the reliable references of Rakhine history. Thus, the hidden objective of the seminar was served providing disservice to humanity. It in the name of a history seminar served the Rakhine racists to reenforce their extremist views.